Patchwork & Quilting: A Maker’s Guide contains fifteen beautiful step- by- step projects for crafters at all levels. Each one takes its cue from a different tradition, including Indian kantha, English wholecloth quilting, Japanese boro patchwork, and the block- and strip- pieced quilts of North America, as well as appliqué traditions from Hawaii and Panama. Designed by teachers and practitioners at the leading edge of today’s craft revival, the projects are both functional and fashionable and include tips on how to create beyond the book, developing individual, unique designs. 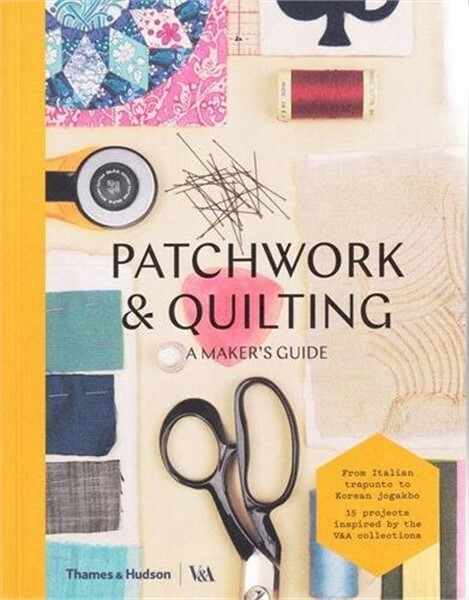 This inspiring book will give readers the skill and confidence to express their passion for pattern through the age- old crafts of patching and quilting.